Blue, Orange & Red Panels with Graphics on the Wing and Top Surfaces. 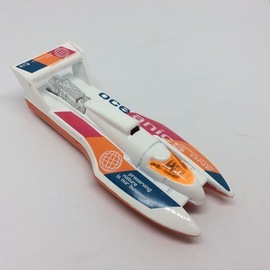 'OCEANICS' and 'Research Vehicle ONE' on the Wing & Left Top Surface. 'preserving nature is our business' on the Right Top Surface.